Fresh Blueberries from a Container Plant? Believe It! Believe it! Even apartment dwellers can enjoy harvesting fresh plump blueberries from an ornamental bush that grows great in containers. Enjoy showy, bell-shaped flowers in spring. 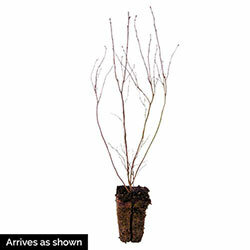 Likes moist, acidic soil. 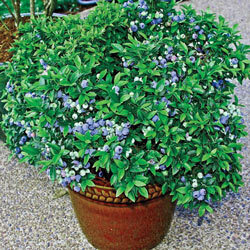 Growth Rate: Takes 3 to 4 years for top hat blueberry bush to mature and start providing fruit. Additional Information: Bears fruit in 1-3 years.